The world of attorneys can be challenging, which is why many people are drawn to the field. Each case presents its own unique challenges that must be overcome. It has become a saturated field, though, with over 1.1 million licensed attorneys in the United States, according to the American Bar Association. Many of these lawyers might not go on to practice, while others (like yourself, if you’re reading this) have been practicing for a while and are looking for an attorney career change. There are numerous reasons for an attorney career change, and sometimes it’s just to start your own firm. It’s important to recognize some important things about yourself, as well as the market if you’re serious about a change. This may be something you’ve heard before, but it’s the truth. There’s probably this nagging voice in the back of your head saying something like, “I’ll never get to where I want to be at this firm.” That isn’t specific to attorneys, and many people have the same voice about their respective industries. With attorneys, though, it can be difficult to come to the realization that it’s you who needs to initiate change, not the firm. Holding out in hopes that the firm will make you a partner while your life continues to stay static is cyclical and, frankly, ineffective. You need to come to the decision that the firm that you’re at now isn’t going to be the one you’ll be at forever. Seems counterintuitive, right? Why would a lawyer who’s looking to change careers try to do better at their job? The reason being is that it gives you independence. Most attorneys find themselves reliant on their firm, its fate is tied to their own. Which isn’t true. By being the best you can be at your job, you show not only yourself but everyone else as well, that you don’t need a firm to be successful. You create that success yourself. It’s the difference between being an active driver and a passive passenger. You want to be the driver. A change of scenery might be okay for now, but eventually, you’ll hit the same wall you’re facing now. Unless the new firm gives you the opportunities that you want, you’ll stay in the same rut. 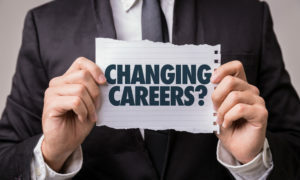 Consider the multiple career directions possible, such as a lawyer to teacher career change, or a career change to medicine. If you want to stay in the field, consider starting your own firm and being your own boss. An attorney career change is never easy, and it requires an active role. 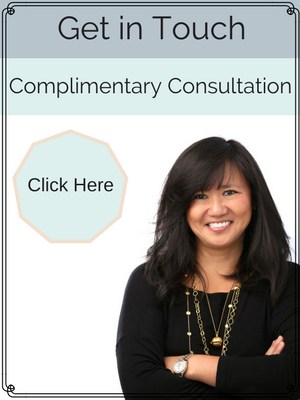 If you feel as though you’re in need of a change and aren’t sure how to go about it, consider consulting with a career coach. They can give you the advice and encouragement you need to take control of your career. Looking for a career change? Call us today.